It’s almost impossible to find a home without either a digital, satellite platform or cable TV today thanks to the rapid technological innovation. While most people would prefer watching their preferred contents online or on pay TV with monthly subscription fees with access to only a few channels, installing a TV aerial would save you a great deal of money. 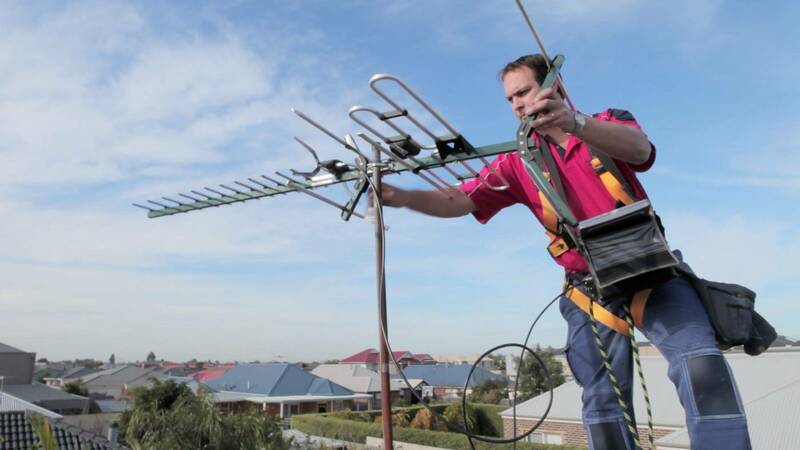 Television aerials are vital components designed to receive signals in the form of channels from broadcast stations. Most regions of Great Britain have access to close to 60-100 prime TV channels ranging from local news to live sports and even documentary absolutely for free. On top of offering access to free TV channels, TV aerials provide crystal clear pictures on your Television set. This is because over-the-air TV signals are less compressed as compared to cable or satellite broadcasts; therefore, the images will be received in the same picture quality or even better. Today, broadcast stations transmit high-definition TV signals, i.e. 4K broadcasting even to match the standards of a 4K HD display television. When buying a TV aerial, there are three options you can choose from: outdoor, indoor and attic TV antennas. TV aerial installers would recommend outdoor antennas as they offer better reception and are better exposed to broadcast towers as they are mounted on top of roofs. Outdoor antennae also receive superior quality signals when compared to indoor TV antenna attributed to signal transmitters. They offer a wide variety of free channels as they operate exceptionally well at higher frequency levels. You can enjoy a wide range of channels absolutely for free. Establishing the Signal Gain- The first vital step before buying an outdoor antenna is to determine the signal gain by finding out the channels the neighborhood is receiving along with the direction their aerials are pointing. If their aerials are pointing to a particular direction, then the area receives a pretty strong signal, and you wouldn’t need a signal amplifier. However, if their aerials are pointing in different directions, the signal could be poor, and therefore you would have to budget for a masthead amplifier. Choosing between UHF and VHF signal- When purchasing an antenna, you will have to select between VHF and UHF. UHF seems a better option since most TV stations are migrating to UHF signals; therefore, you will be able to get a large number of channels on UHF signals. If you are unable to choose between the two signals, don’t worry because some TV antennas on the market today are capable of picking up both types of signals. Quality over cost- It would be better to consider quality over cost when purchasing an antenna. The cost of antennas varies considerably depending on the design and quality of materials. A high-quality antenna would indeed overcome the harsh outdoor weather and last longer saving you from the inconveniences that come with purchasing and installing an antenna. Reliable service- Professional TV antenna installers are available anytime you require their services. You are therefore guaranteed that in the event that you have an issue with your antennae, they would show up in time and save you from the inconveniences of missing your favorite TV show due to interruptions. Ensure fewer TV interruptions-When you hire the services of professional TV aerial installers; you are almost sure that you experience fewer TV interruptions as your antenna would be correctly installed thanks to a vast experience plus an in-depth knowledge in TV aerial installations. Cost-Effectiveness- You may not know this, but professional TV installers are cost-effective in the long run. When your TV aerial is correctly installed, it will certainly last longer, and you will not have to carry out constant repairs which end up being costly in the long run. When installing your TV aerial, it’s vital to choose reputable TV aerial installers to ensure that your aerial is correctly connected in addition to preventing constant interruptions that will affect your overall viewing experience. When choosing the best TV antenna installer, you would first want to perform some background checks by reading their reviews online or asking their previous clients. Next, you should visit their offices and engage them and finally perform a price comparison before choosing the best installer with a flexible installation and maintenance price. Best TV aerial installers in Great Britain include Aerial Force ADS, Aerial Services, Smart Aerials, and Aerial Systems among others.